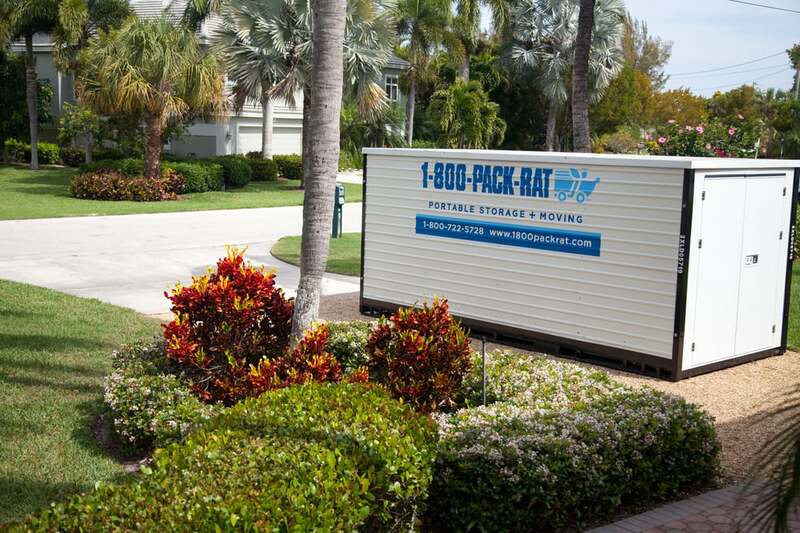 1-800- PACK-RAT was very easy to relocate my family from Houston to Dallas with. 2 storage containers showed up on time, loaded in 2 days, then picked up swiftly. They stored the containers for 3 months while relocating. Contents of containers were not shifted or damaged in transport to my driveway of new Dallas location residence. 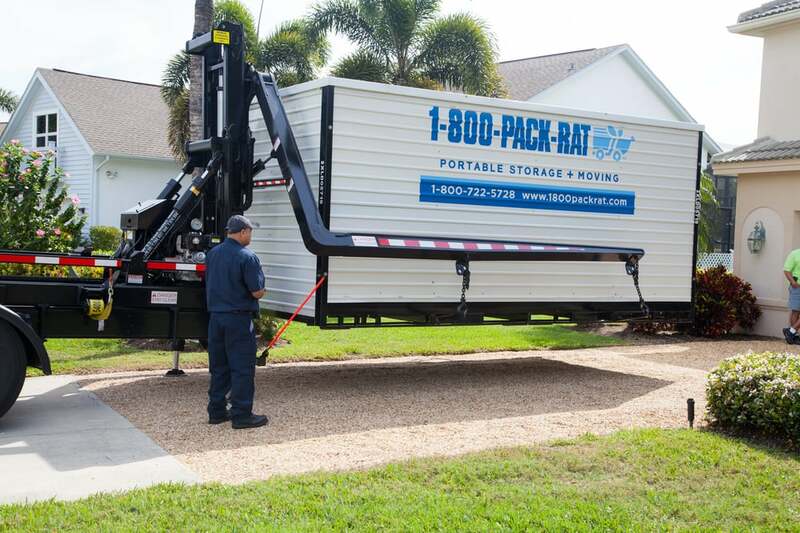 Very easy prices to understand and always had the pleasure to speak with a REAL PERSON if needed.I will recommend 1800PACKRAT to others versus the others container movers because of price, attention to customers, and assurance of delivery recap. The only reason PackRat gets a second star after being dishonest with me is because the drivers there are very courteous. I feel bad that management there does not back up their satisfaction guarantee or generally follow up as any legitimate business should. My pick-up was not done in the time I was told, so the entirety of my belongings were baking in the sun for hours in the Houston summer. The help line told me I would be able to add insurance later if I wanted (I assumed as long as before I began packing) but that was not true. I called several times to get an update and each time the new deadline for pick up was missed. Management called and I told them about the issues right after pick up and they said "we will investigate". Six months later on the drop off they asked again and were clueless how to proceed fulfilling their guarantee (1st month refunded) and they are "looking into it". I know they are hoping I will forget but I have a pet peeve about bait and switch type tactics. I actually had a great experience with this company.I arranged a moving from LA to Houston, and everybody working for my move was very attentive, patient and flexible. The sales lady didn't bombard me with phone calls (like the other moving companies did) and gave me time to think about all the other options. She gave me a good price from the beggining and assured me she could match prices. Once I decided to use them, the process was smooth and container was delivered and picked up as scheduled.All my items arrived in great shape. Just as I have layered them out.When you want to have your stuff back I recommend you to call a few days in advance. Since it will take 2-4 days to set up the drop off. The only small negative thing is that the moving cordinator didn't let me know when my container arrived at destination. He did send me email stating that "container was on track to be delivered on time," but it would be nice to have a call or email at time of destination. For me it wasnt a big deal, since I didnt need my stuff right away.Try them! We actually used 1-800-Pack-Rat twice. The move from Houston to Oregon went smoothly and was such an awesome experience we decided to use them again when we discovered that Oregon was not for us. Although we were over 500 lbs. in Houston, the driver never indicated there was a problem and the move was awesome. Everything intact and exceptional. So within a 3 month period we used 1-800-Pack-Rat from Oregon back to Houston. That experience was not as good as the first. I had to leave earlier than -the unit getting picked up and the driver called to tell me that it was 400 lbs. overweight. When I told him I could not come back he said he would call the dispatch and they could tell him what to do. He called me back to tell me that because the unit was 1000 lbs. over he was instructed to drop the unit. I called 1-800-Pack-Rat and spoke to a supervisor who in turned called and spoke with dispatch. Dispatch then told him that the unit was 3000 lbs. over. I was frantic because there was no way to turn back and get to my destination in time. The office was exceptional because I received a call back and they indicated they would send another driver out to establish the weight of the unit. I requested they send a different driver not the first one, but he showed up a second time and with a witness discovered that unit was only 400 lbs. overweight, which according to the office was not grossly overweight since it is hard to distinguish how much 6000 lbs. is. The driver argued with me when he dropped off the empty unit, when I told him that the office indicated 6000 lbs., he said you were not to go over 5000 lbs. max and when I asked how can I be sure he said the only way was to be there when he picked up the unit. When he called me he had the unit on his truck. After calling dispatch he put the unit back down, then the second time he picked the unit up and again put it back down and waited for a flat bed truck, so the unit had to be picked up, set on truck and taken to Portland. According to the professional movers we had unload the unit, our brand new entertainment center we had purchased in Oregon, was broken in half from the stress of the unnecessary up and down movement, not to mention several crystal glass antique cabinets that were wrapped in blankets and towels inside that were also shattered. The office people at 1-800-Pack-Rat were exceptional. They handled the situation professionally, compassionately and kept in contact with me altogether. I believe the driver was trying to teach us a lesson when he specifically said that we needed to be there when he picked up the unit. He had promised that we would be his first pickup after I told him that we needed to be on the road before daylight but actually he arrived late morning which was to long for us to wait. 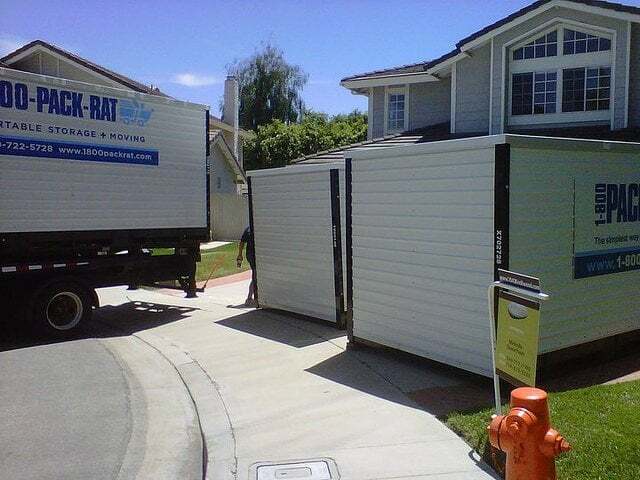 I would definitely use 1-800-Pack-Rat again, I would just be aware of some of the drivers. They dropped off one of my containers at my new address at least an hour before I could get there, despite me telling them several times the day before that I couldn't be there until a certain time. I live in an apartment building so it's not like they put it in my drive knowing it was going to be safe, they actually put it on a handicapped parking space and hoped for the best I guess. When they called to ask if I was ready for the second container, they said they'd be there in 30 minutes and it was almost 2 hours. At least when he showed up, I could make sure he didn't block any more handicapped parking spaces.